Preheat oven to 350°F. Spray a cookie sheet with cooking spray. 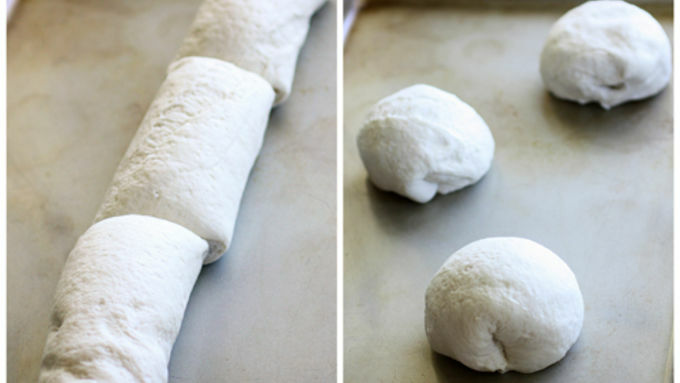 Remove dough from cans. Cut each loaf into 3 equal pieces. Shape each piece into ball, placing seam at bottom so dough is smooth on top. Place dough balls, seam side down on the cookie sheet and bake for 22 to 26 minutes or until golden brown. Meanwhile, in a pot heat the 2 cans of soup over medium-high heat. 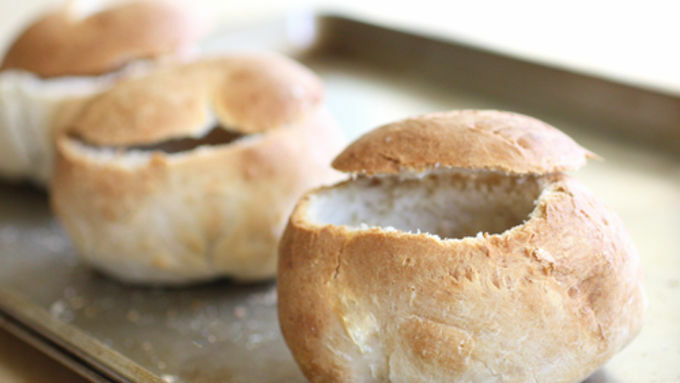 When bread bowls have cooled, cut the top of each loaf with a sharp serrated knife. Press dough inside the bread bowl down making room for the soup. Spoon about 1 to 1 1/2 cups warm soup into bowls and serve. Place the top of each bread bowl next to filled bread bowl. You're busy prepping, slicing, dicing and baking -- so what are you going to feed the fam the night before the big feast? This super easy idea is your golden ticket. The night before Thanksgiving, one of the biggest cooking days of the year, the last thing I want to be doing is cooking a huge meal. But I also don’t want to fight the crowds at a crowded restaurant. I would rather be at home prepping for the big day. Of course you and your family still have to eat something for dinner so an easy meal is just what you need. 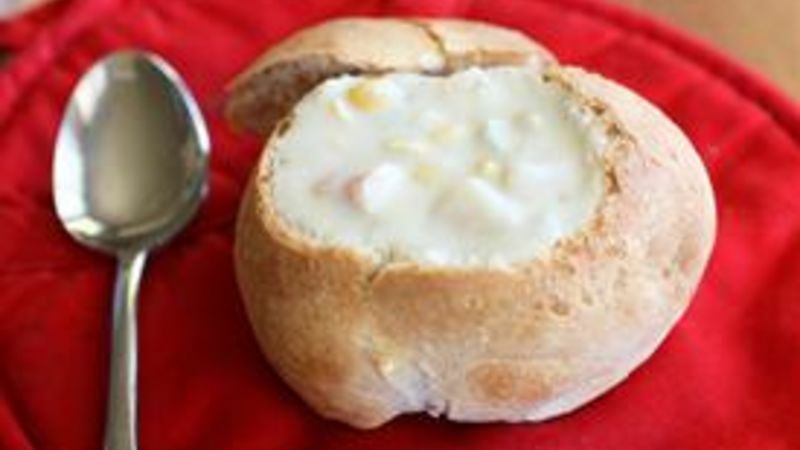 These Easy Bread Bowls and Soup are warm and comforting and take absolutely no time at all. 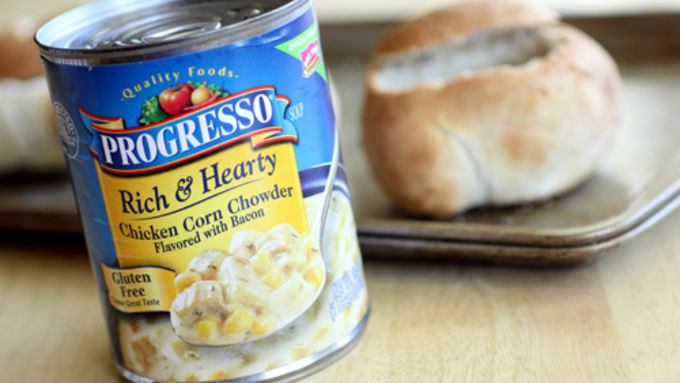 No one has to know that the hearty soup comes from a can and the bread bowls are made easy with Pillsbury French Loaf dough! Pour the warm soup into the bread bowl and you're done! The bread bowls come off as gourmet and homemade, and the hearty soup will have everyone thinking you spent all day in the kitchen making it. Make your life easier and hassle-free -- at least for this meal! We have lots of easy dinner recipesfor you to try on nights that seem to hurried for a long cooking session.